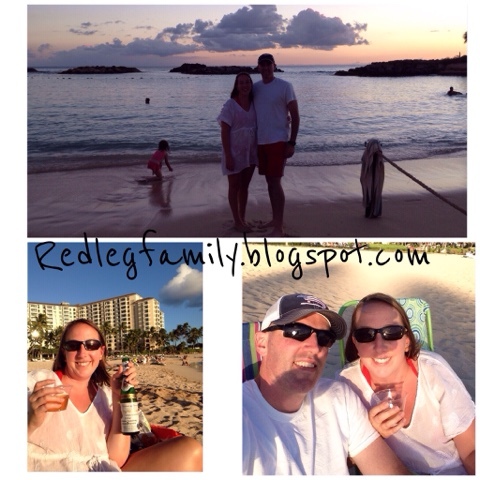 After a month of living on the island we were starting to find our way - a little bit! 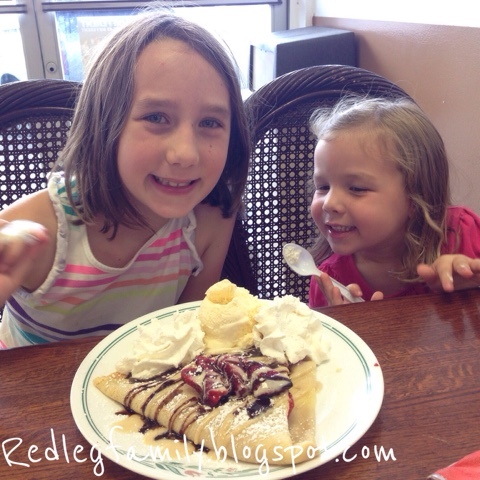 The girls and I ventured out to one of the malls to run an errand and afterwards tried out Aloha Crepes. They got some strawberry, chocolate, cream combination and loved it! 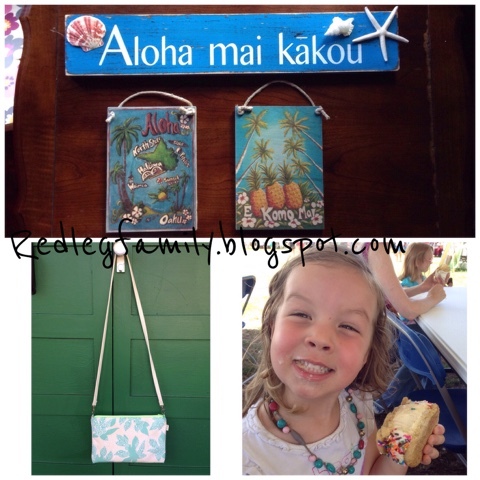 We all went to the Haleiwa Arts Festival one weekend. Bryan and the girls spent most of the time hanging out at the keiki (children) tent while I walked around to all the booths. There were a lot of things I liked but I ended up just getting three pieces of wall art and a cross body purse. Emma and I enjoyed an Uncle's Ice Cream Sandwich before we left the festival. Bryan and I celebrated our 12th anniversary on July 19th. We weren't able to plan anything special for just the two of us that day so we just packed a picnic and all 4 of us went to the beach for the evening. It was simple but definitely memorable! We even opened our last bottle of eiswein from our Germany years for the occasion. One of our neighbors organized an end of summer beach bash for the moms and kids. We all basically took over a small beach area in Haleiwa for the day. My friend and I rented paddle boards for us and the kids to use. 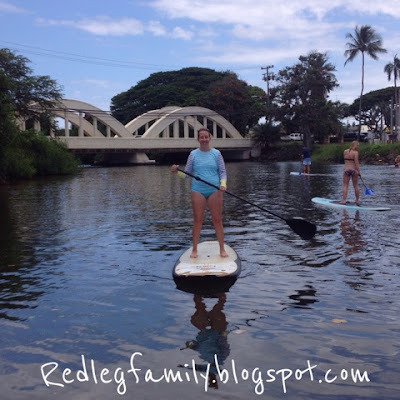 It was another surreal experience to paddle around the famous "Rainbow Bridge".